poetry, photos and musings oh my! – Page 85 – Exploring the world in which I live, inside and out. Since my other blog is strictly about France, this gives me an opportunity to showcase some of the other places I’ve been. Besides, I have too many photos not to display somewhere. The most difficult part of this is deciding which from hundreds of pictures to include. This popular park started out as a development project. Eusebi Guëll, Catalan industrialist, aquired a 42 acre plot north of Barcelona. His vision was to turn the area into a residential village with English styled gardens. 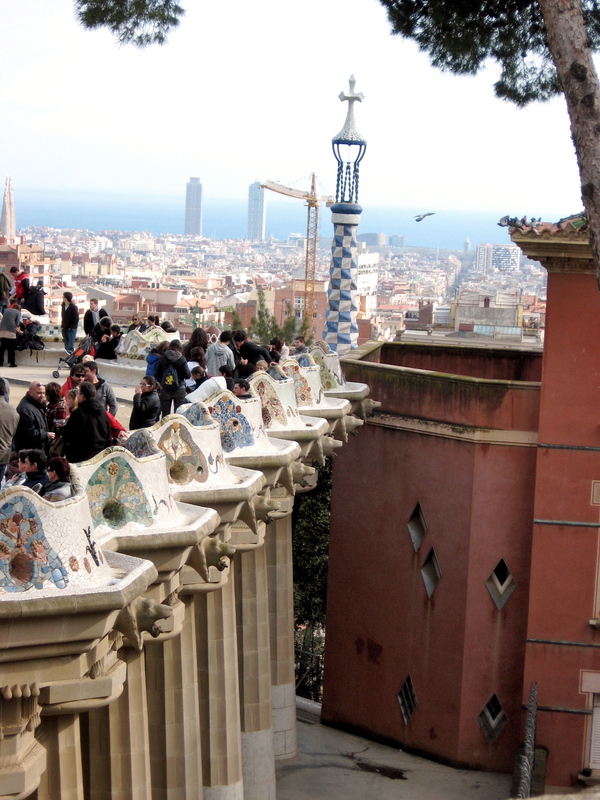 In 1900 Guëll commissioned Antoni Gaudí with the development of the project. With the support from other architects including Josep M. Jujol and his disciple Francesc Berenguer, Gaudí worked on the garden village. By 1914 it had become clear that the project was a commercial failure and Guëll failed to sell even one single property. In 1918, the property was acquired by the city and became a public park. 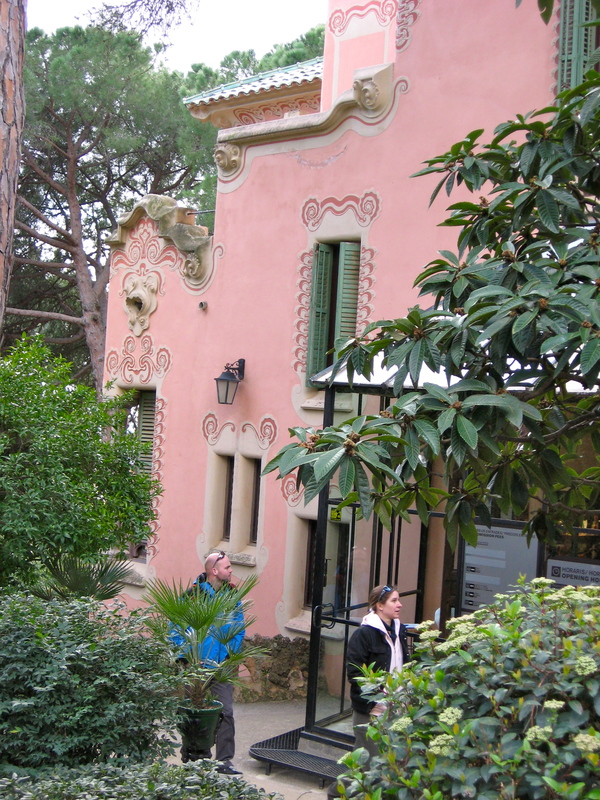 From 1906 and 1926, Gaudí lived in one of the two houses that were completed. 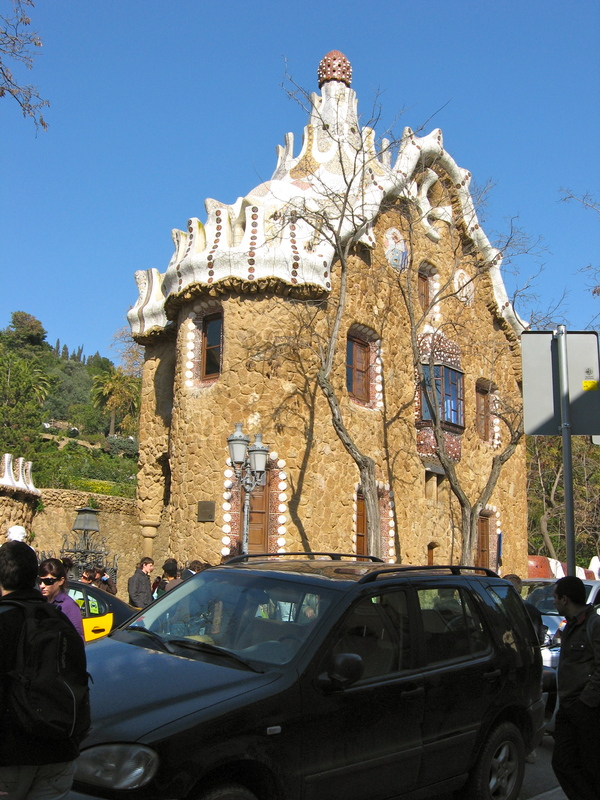 The house, known as the Casa Museu Gaudí, was designed by Francesc Berenguer. 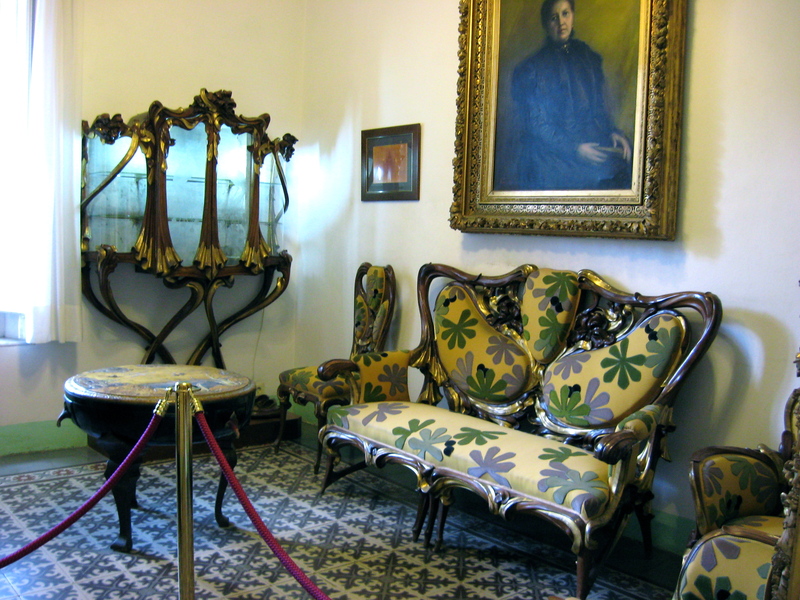 Now a museum it displays some of Gaudí’s furniture which includes some from the Casa Batlló and drawings. The park also includes the Casa Trias, which is not open for visitors, and winding roads with paths supported by tree-like columns. Serpentine Bench or the Gran Placa: A Circular flight of stairs leads to another famous feature of the park: the Gran Placa Circular. The plaza that was created here was conceived as a market place. The Serpentine Bench, which borders the plaza is the largest bench in the world. 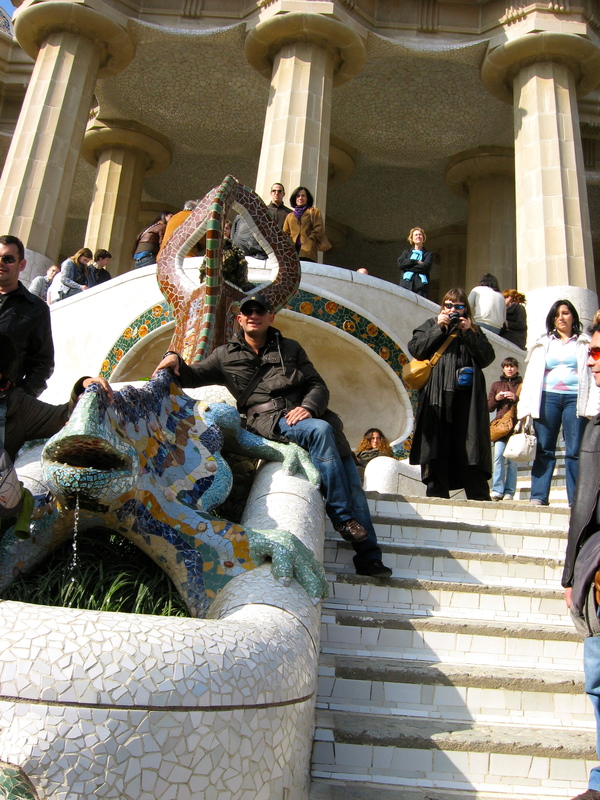 Its colorful ceramic tiles with more than 80 columns snake and curl around the place. From the Gran Placa and the terraced gardens above, you are are granted a spectacular view of the Mediterranean. When I judge art, I take my painting and put it next to a God made object like a tree or flower. If it clashes, it is not art. 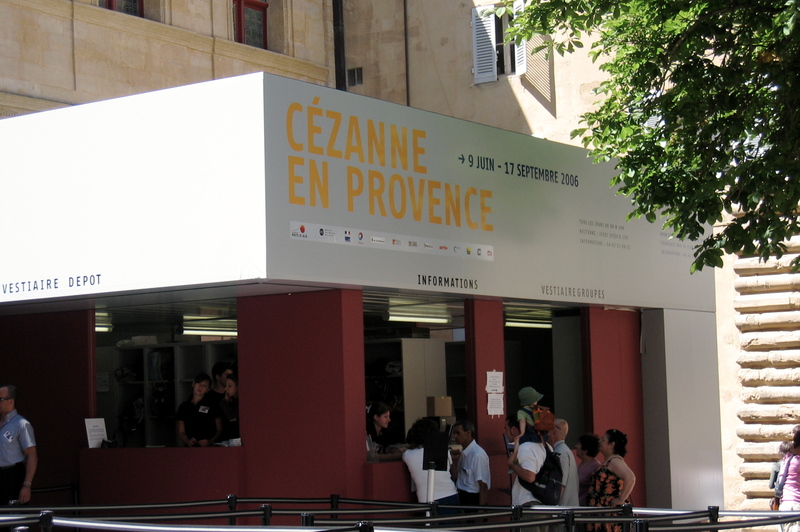 While visiting Aix-en-Provence in 2006, I had the good fortune to arrive at the beginning of fête de Cézanne. 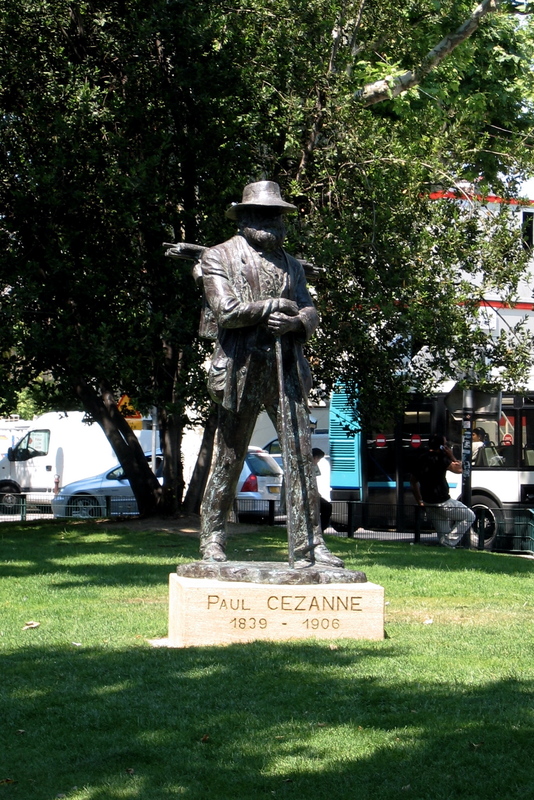 Paul Cézanne 1839 – 1906, a French artist and Post-Impressionist painter. His work was instrumental in bridging the transition from 19th century Impressionism and 20th century’s line of enquiry, Cubism. Born in the town of Aix-en-Provence, he had a fondness for painting Mont Sainte-Victoire. He left over 60 paintings of the mountain. His studio remains as he left it. Now owned by the University, it is maintained as if he just stepped out. Even the basket of ripening apples is kept so that there is fruit in each stage and the aroma permeates the room. Over a hundred years since his death and his spirit lingers large. The grounds that surround the studio are a maze of paths dotted with work by students. I must admit to visiting more than once and it remains one of my two favorite places I have visited since first visiting France. While I do appreciate the policy of no cameras inside the studio, I do wish I had photos of it to share. You will just have to visit it yourself! Upon returning to California from the first visit, I was approached by my friend Carol. Carol, an artist, was putting together a limited edition art book with a grant from the Art’s Council. As we talked, she asked me about art & France. I told her that “art is the loom the tapestry we know as France is woven upon.” She asked if she could quote me. Bien sur! (of course) Then she told me that she would require a poem from me that would speak of art & France. That was what brought about the writing of the poem below. 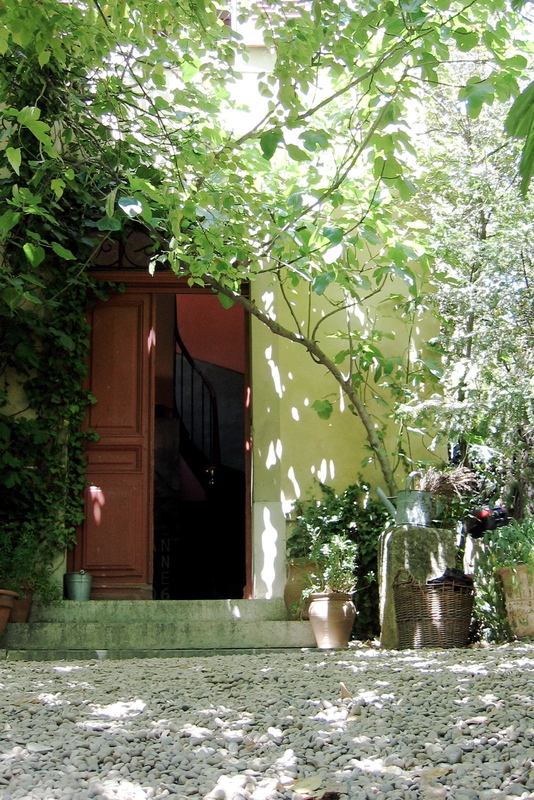 Since moving to France, I have returned to visit Atelier Cézanne and was just as moved as my first visit. Having spent six weeks exploring France on my first visit and living here for over four years, I continue to be delighted at every turn. However, I must admit that to date, my favorite places are Montmartre and Atelier Cézanne. There is no doubt that I shall return again and again. Today, this blog is dedicated to the man who made this Mecca for writer’s and reader’s all that it could be. George Whitman, an Angel in Disguise, died on Wednesday at the age of 98 years young. No doubt, his spirit will linger on in every corner of the shop, between book and page now safely in the hands of his daughter and those entrusted with Shakespeare & Company’s care. The highlight of my first trip to Paris was when they accepted my first poetry chapbook and added it to Poet’s Corner. The receipt is safely tucked in the journal I carried around France. 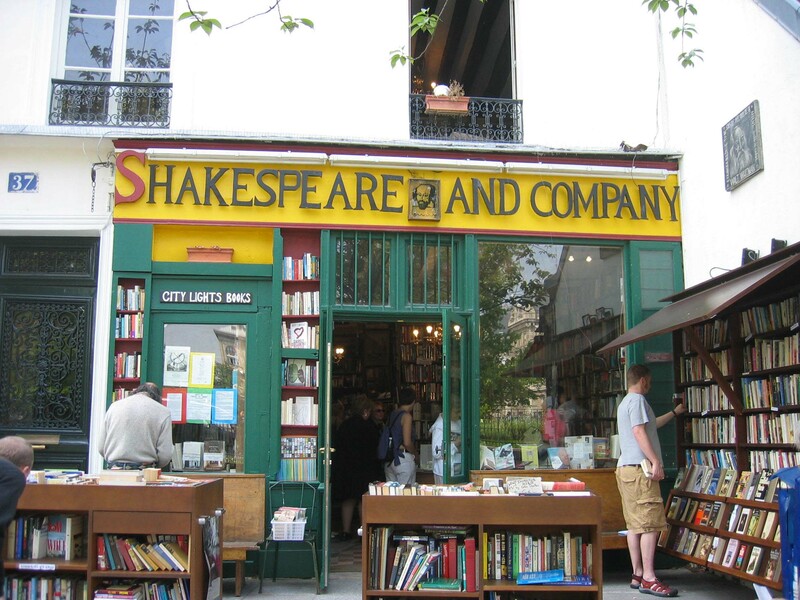 Recently, on my other blog: foundinfrance.wordpress.com, I focused on Shakespeare & Company. It is a place that holds fond memories and I shall return. 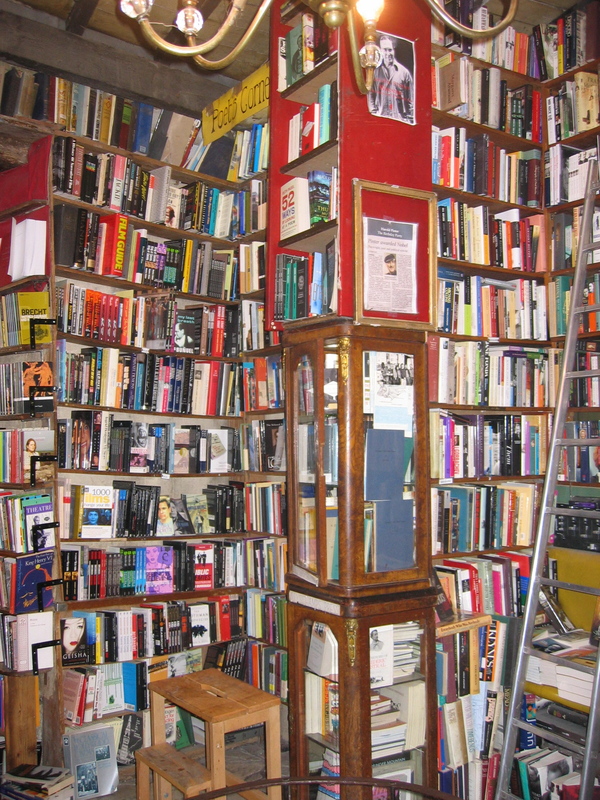 If you have not experienced a visit to Shakespeare & Company, it is an unforgettable experience. When you cross George’s threshold, you enter another world. This is a world of books, writers, readers and a remarkable chapter in Literary History. George and Shakespeare & Company are each legendary in their own right. Sleep well. Your rest is well earned and know you have made a difference in countless lives. To George’s daughter Sylvia and the many others who are dedicated to continuing George’s legacy, I offer my sincere condolences. poetry, photos and musings oh my! Blog at WordPress.com. Long live the wild and the wilderness yet.